It’s no secret that iPhone 5 is no longer able to compete with the majority of Android-smartphone neither in design solutions, nor in hardware and software features. The longer Apple delays the release of a new version of iPhone, the greater sales decline will be. But even without buying the next iPhone users can regain the love to this phone, and there are exactly 10 reasons for it. 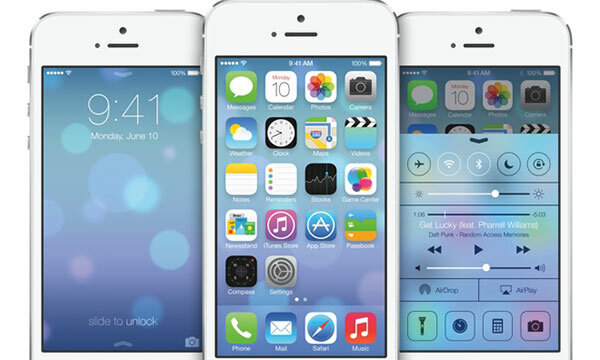 All of them are enclosed in iOS 7, which new beta version was released a couple of days ago. Each of the reasons is related to one or more iOS 7 components, which makes this system very competitive despite the recent release of Android 4.3. However, many of the following features are already available in Android, but nevertheless it does not detract from the merits of the new mobile operating system from Apple. iOS 7 has received a new type of the background – a wild mixture of different shades of color, each time different. It is like a living being – seamless and invisible to the eye, it is constantly changing. Probably, this feature can be turned off, so the users can set any wallpaper for their taste. iOS 7 will be released with the second generation of Siri voice assistant with some features of AI. Apple has promised to make it even more human and able to respond to any, even the most cunning and not clear questions. New Siri, compared to the previous generation, is sure to become a lot smarter, and its knowledge base has increased markedly. In this case we are not talking about an integrated Instagram service – Apple would not do it, because Instagram is owned by Facebook. But the photo filters similar to Instagram’s nothing are to appear in iOS 7. Now, picture taking settings will be expanded, allowing even greater number of “applefans” consider themselves to be really cool photographers. In light of recent events relating to the ordinary citizens surveillance by the security services around the world it would be superfluous to integrate into iOS 7 the new privacy settings, and Apple is well aware of it. Actually, they will be presented to the users so that they may restrict sending any personal data – photos, locations coordinate and so on. In addition, you can close applications with access to a microphone and camera to minimize the risk of surveillance and eavesdropping. On the example of icons hours the company shows that it displays the current time, and the arrows are constantly changing their location. Apple did it for the ultimate convenience, and certainly by the time of official iOS 7 release a couple of icons will become alive, for example the weather widget. Android OS warns users about the availability of new versions of apps installed, and so does iOS 6. 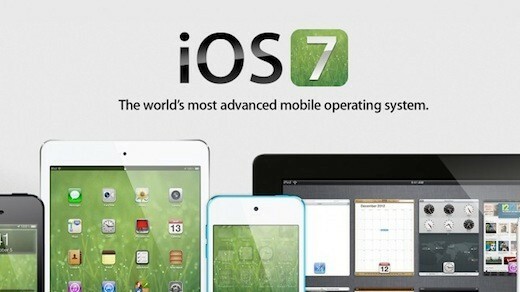 The 7th version of iOS learned to update the software without user intervention and without any notice at all. If someone thinks it is odd, this function can be disabled. But then you have to download an update for each application separately. Apple has long been promoting its iCloud service, making it more sophisticated and versatile. iOS 7 will be able to work with most of its functions – it even learns to play streaming audio and video stored on the disk. The synchronization process is very much simplified, and enough to activate the connection to the Internet via Wi-Fi or over networks. Everything else the OS does by itself, and the user can only enjoy the sweat media content, including TV. That’s what previous versions of Apple OSes missed. Those who work with a large number of documents had to install extra software, not always convenient and functional. iOS 7 is now able to open PDF-files independently. However, the company does not say anything about editing. In this iOS version, there is a special panel to instantly turn on airplane mode, mute and change profiles. It was copied from Android. This is not exactly what Android lacks. In iOS 7 multitasking and switching between applications in real-time is implemented in a qualitatively new level, which is about the same as on the desktop devices. So, do you still think that iPhone 5S (or iPhone 6) will be as bad as its younger brother?